We invite you to view the evolution of a handful of our current design projects and follow progress from initial idea generation through construction. The below are a sample of our works in progress, either on the drawing boards or under construction. 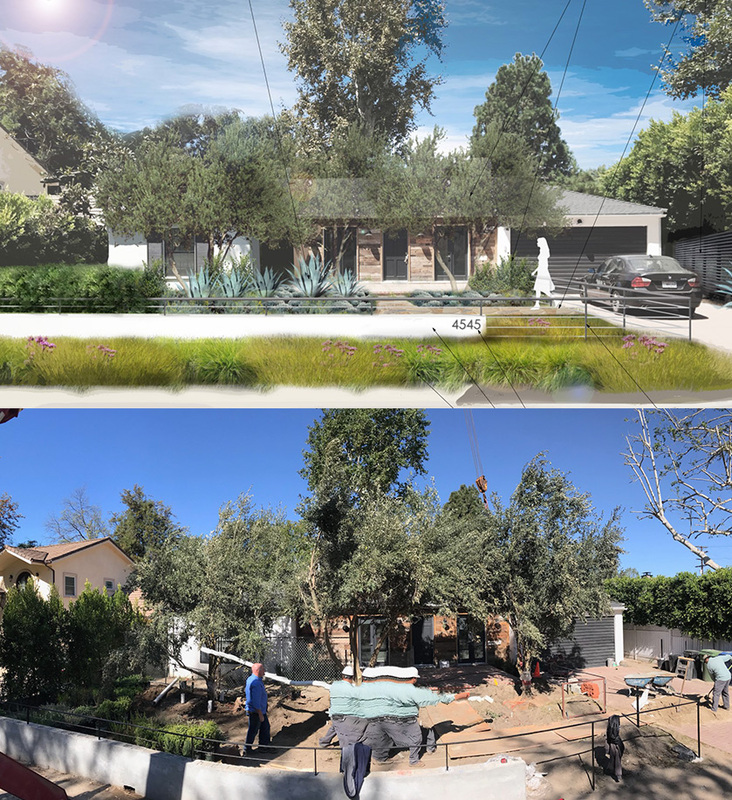 TOLUCA LAKE RESIDENTIAL REHAB: Field-dug olives craned into place. Great progress!